The revered Italian architect Antonio Citterio is celebrated for the iconic structures he’s created around the world, including Bulgari Hotels in Dubai, London, Milan and Bali and the Mandarin Oriental in Milan. 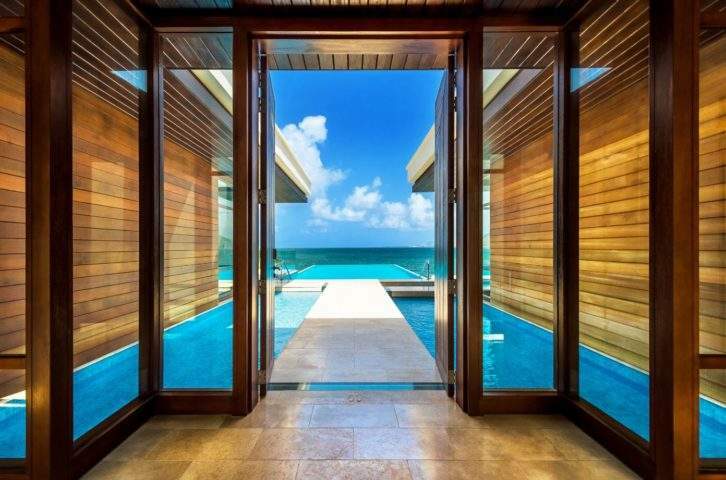 Now the architect is garnering a fresh wave of attention for taking on his first project in the United States, the oceanfront residential development Arte by Antonio Citterio. 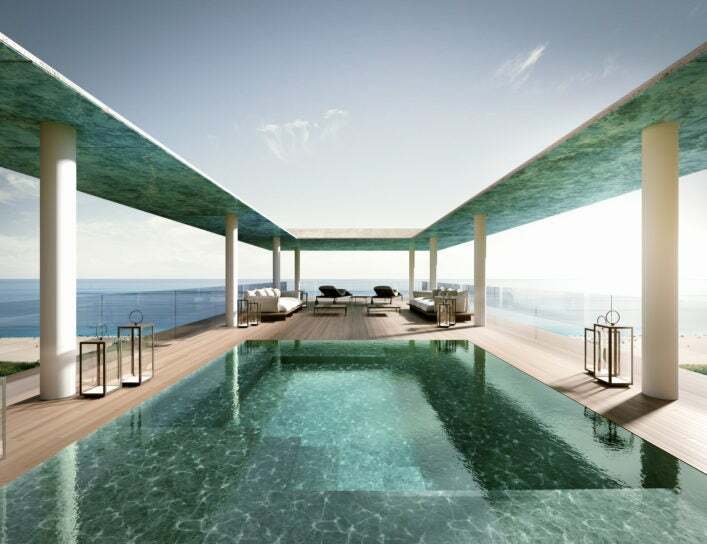 Designed by the architect’s firm Antonio Citterio Patricia Viel, Arte by Antonio Citterio will comprise 16 ultra-luxury residences positioned on Miami’s coastline in Surfside. The property will then sit within 170,000 sq ft of land with an entire acre of its own beach front. Indoor and outdoor pools, a spa, fitness room, tennis court and golf simulator will be encompassed within the property along with a clubhouse for residents. One of the world’s leading landscape designers Enzo Enea is behind the lush gardens that surround the property, which at beach level will be an extension of the spa facilities, while Kobi Karp Architecture & Interior Design are behind the property’s interiors. 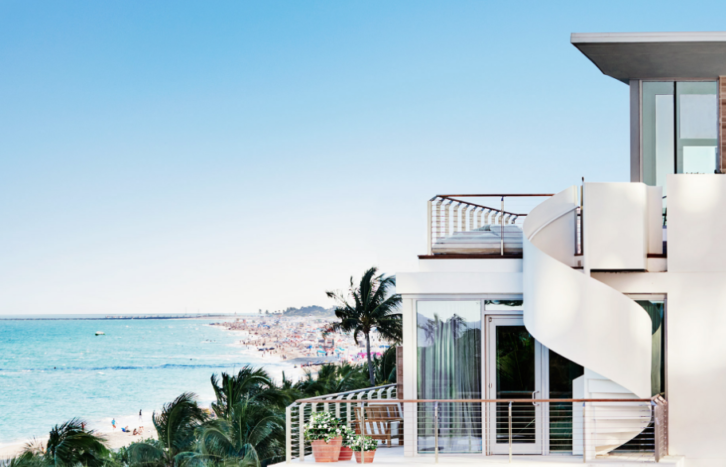 It was Miami’s strong architectural heritage and its 1930s style that inspired the design for this building, with a contemporary exterior distinguished by a series of expansive terraces designed for outdoor living. 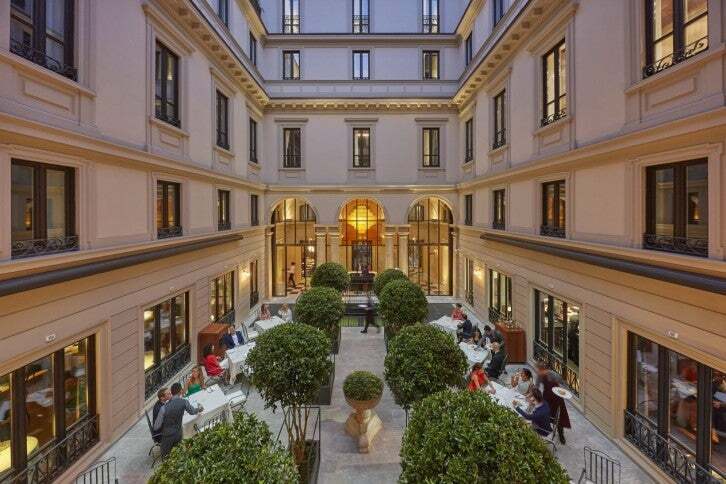 To reflect the sunlight and age well, Roman travertine and oak wood were used for the exterior of the building, with elements of brass incorporated into the window frames to contrast with the light tones of the wood and stone. By using materials from the landscape, the structure reflects its connection with the landscape and the beach it lies alongside. A sculpture by renowned artist Robert Indiana at the front of the property will greet residents as they come in, reflecting the exemplary creativity Surfside has become known for having attracted some of the world’s top architects. 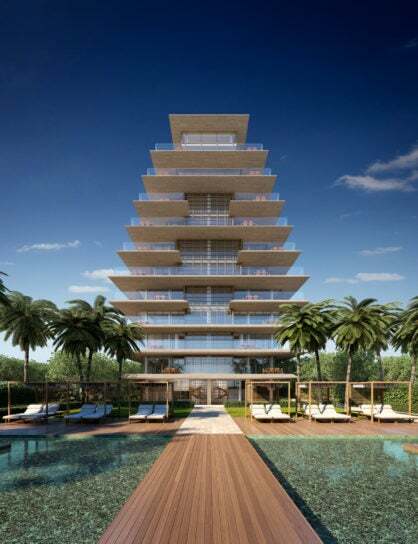 Located within Surfside’s most exclusive neighborhood, tucked between South Beach and Bal Harbour, Art by Citterio is the next major development the focus is set to fall on here. Arte by Antonio Citterio will be complete in 2018. For more information, go over to artsurfside.com.